***LOCAL TRADE, GAS SAVER!!! 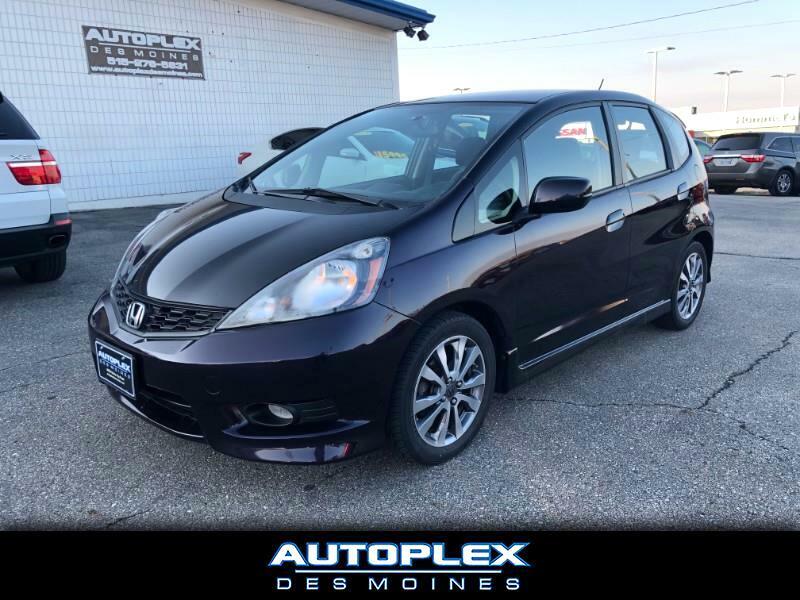 *** We are pleased to offer this 2013 Honda Fit Sport complete with the fuel efficient 1.5 Liter Inline 4 cylinder engine with EPA estimated 27 MPG city and 33 MPG highway. This Fit is loaded with Power windows, Power locks, Power mirrors, Ambient interior lights, Cruise control, AM/FM/CD with Aux audio input, Steering wheel mounted controls, Keyless entry, Alloys and MORE! If you are looking for a smooth driving fuel efficient car this is the one for you! Stop in today for a test drive!!! We offer convenient and competitive Bank and Credit Union financing for most credit types to save you both time and money. Come experience the Autoplex Des Moines Difference Today!